LeoVegas is one of the leading online casinos in the gaming world today, thanks to its wide range of online slots games, generous promotions and life-changing jackpots. This week, one lucky player scooped a $4 million prize from this online casino while playing the Joker Millions progressive slot from Yggdrasil Gaming. The winner is 21-year-old Chris from Olso, Norway, who had been playing at the online casino on his mobile while his girlfriend was grocery shopping. He had placed a small wager of just $1.25, and was shocked to find out that he had triggered the grand prize worth $4.2 million. “We are delighted that this jackpot was won by one of our customers who was playing LeoVegas on his mobile phone as a means to keep himself entertained,” says LeoVegas Head of Casino, Karolina Pelc. “This truly shows what LeoVegas stands for – number one in mobile entertainment”. Chris is thrilled with his winnings and is already planning how to spending the money. While he is still only young, he has some sensible plans for the windfall, as he hopes to invest in property. His main splurge will be a trip to the Maldives with his girlfriend. This is the third time that the Joker Millions progressive slot from Yggdrasil Gaming has paid out its top prize since the game was released in 2015. The two previous jackpots were worth $1 million (September 2015) and $670 000 (December 2015). As it turns out Joker Millions is a very generous game that pays out its grand prizes quite frequently. 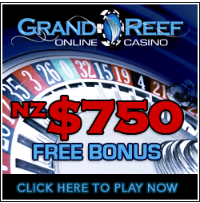 So, you can expect to see the next big win from this lucrative online pokie within the next few months!